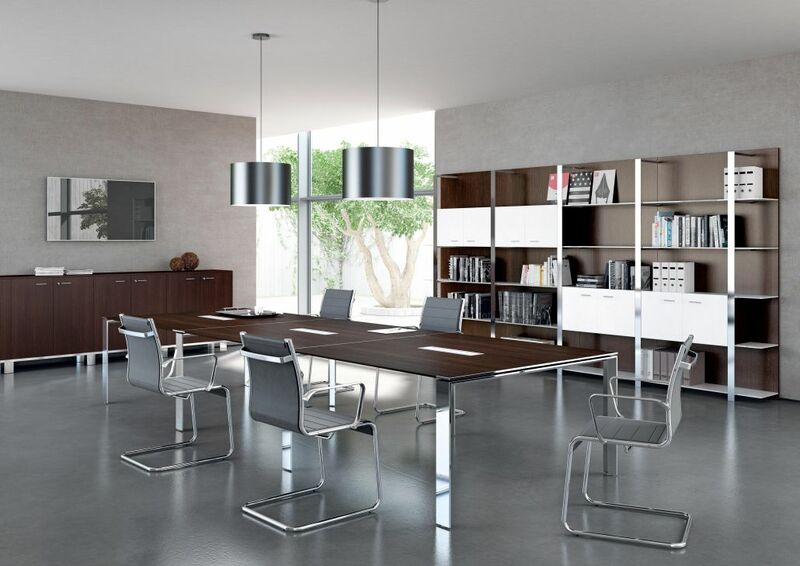 The X7 where pure volumes, planning minimalism, metal reflections and linear wood are the elements of the X7 line. 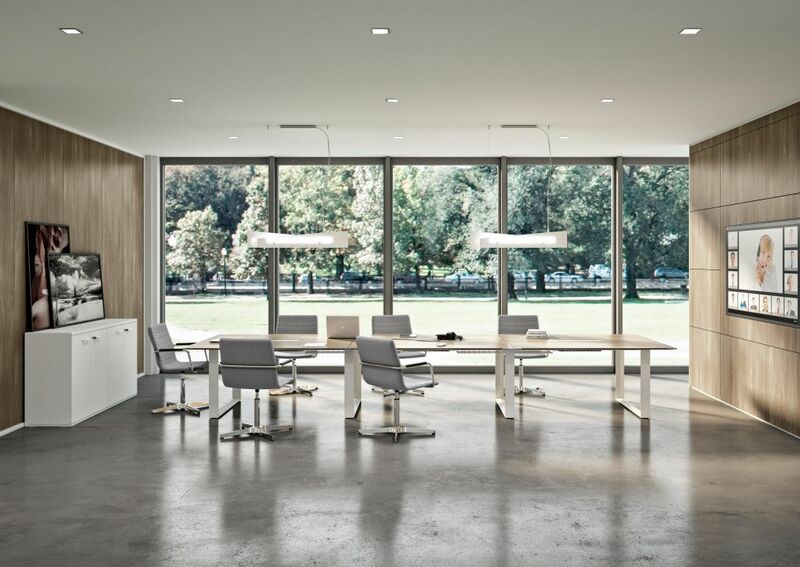 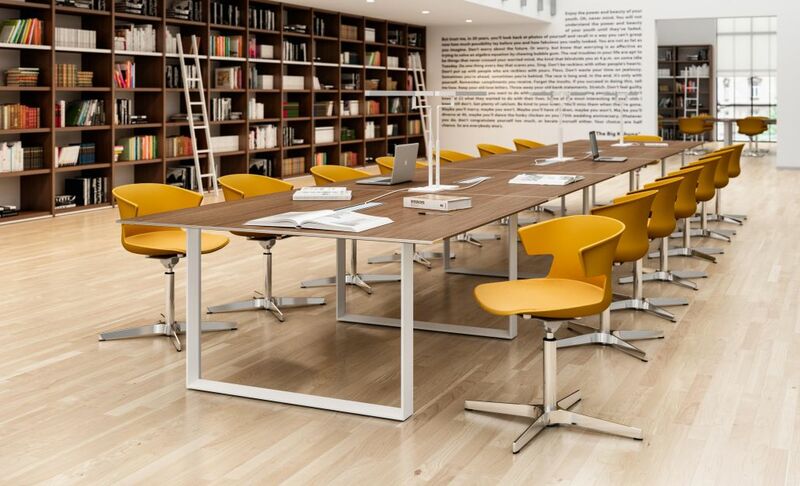 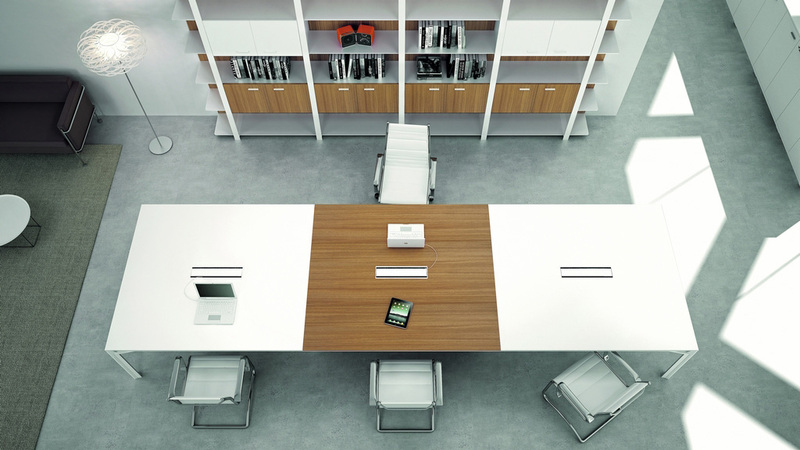 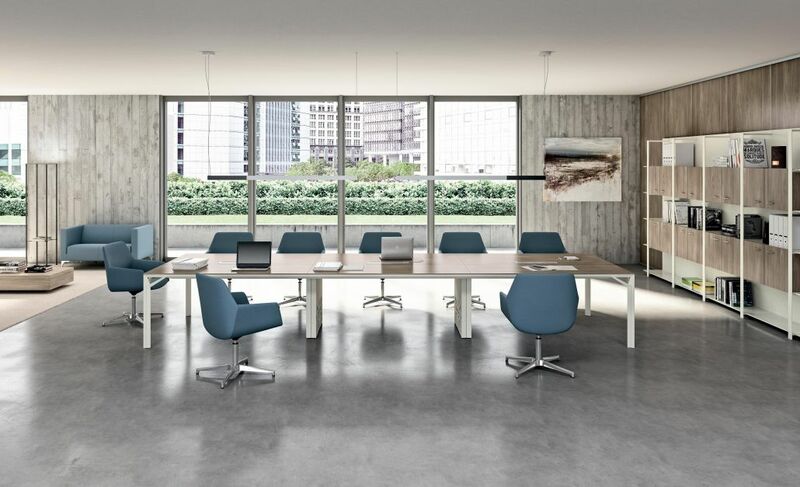 The X8 range is an example of perfect balance between modernity and naturalness. 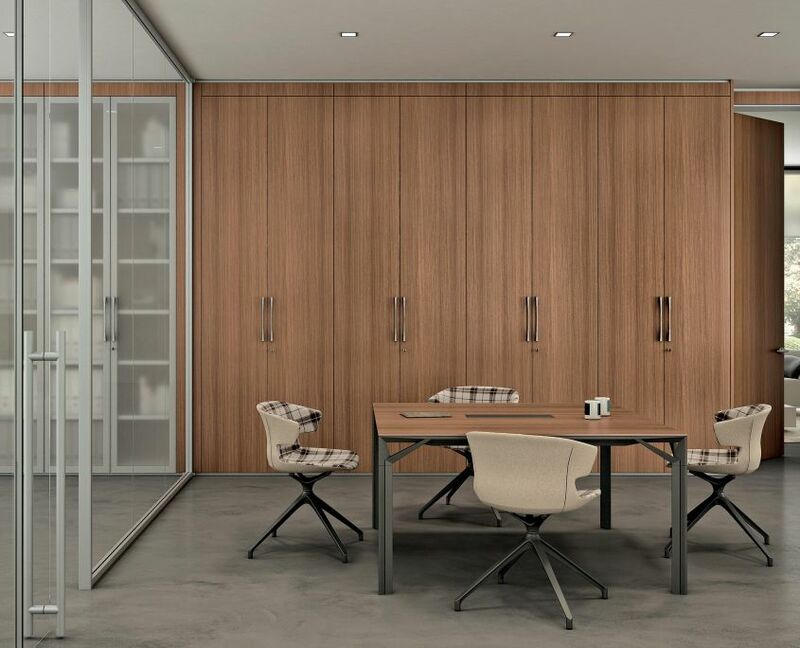 A project full of charm and suggestions in which the design choices express a clear vocation to the primary forms, simplicity and rationality, available in melamine or glass finishes, wood effect finishes are canaletto walnut, elm or wenge. 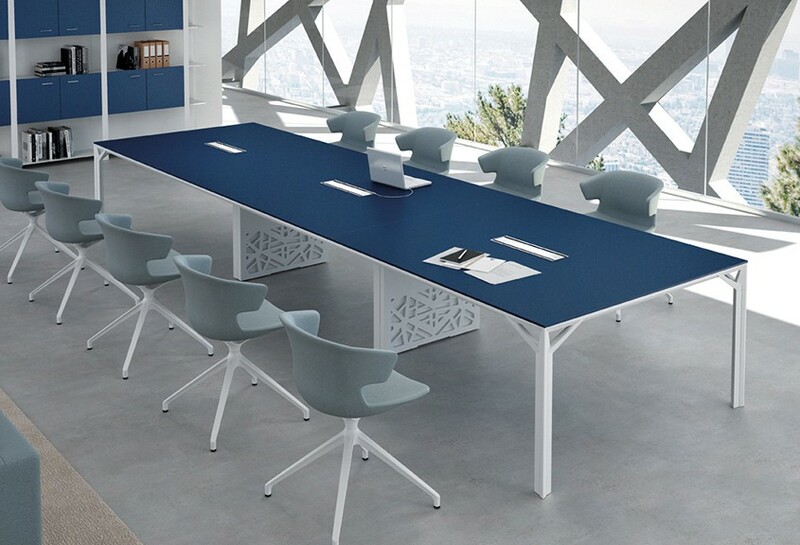 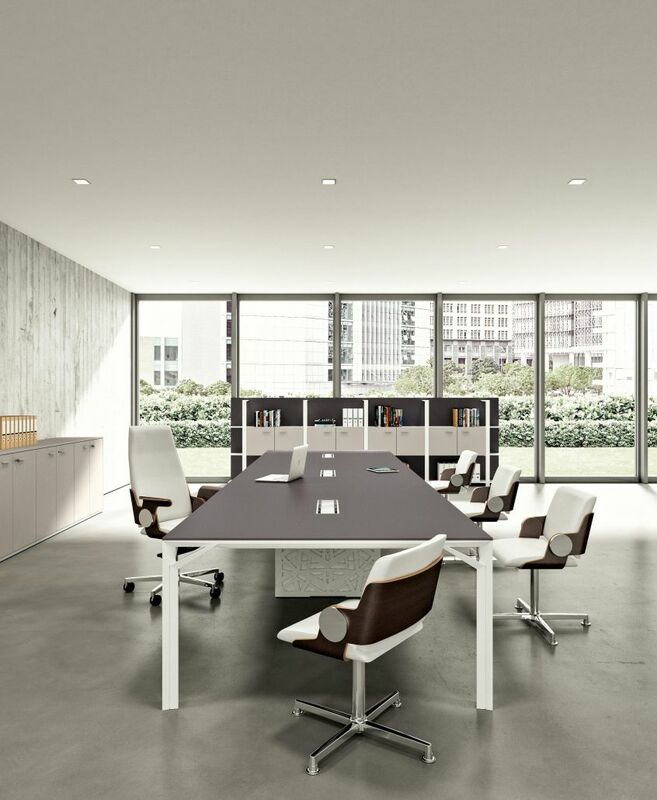 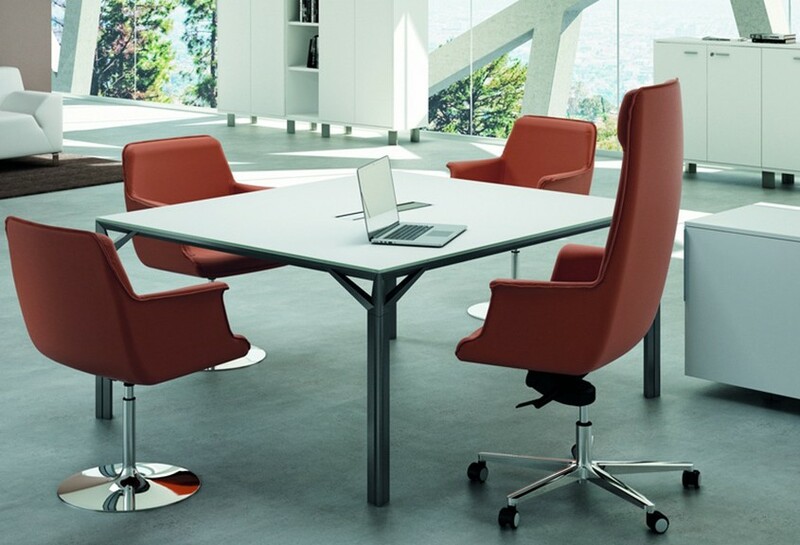 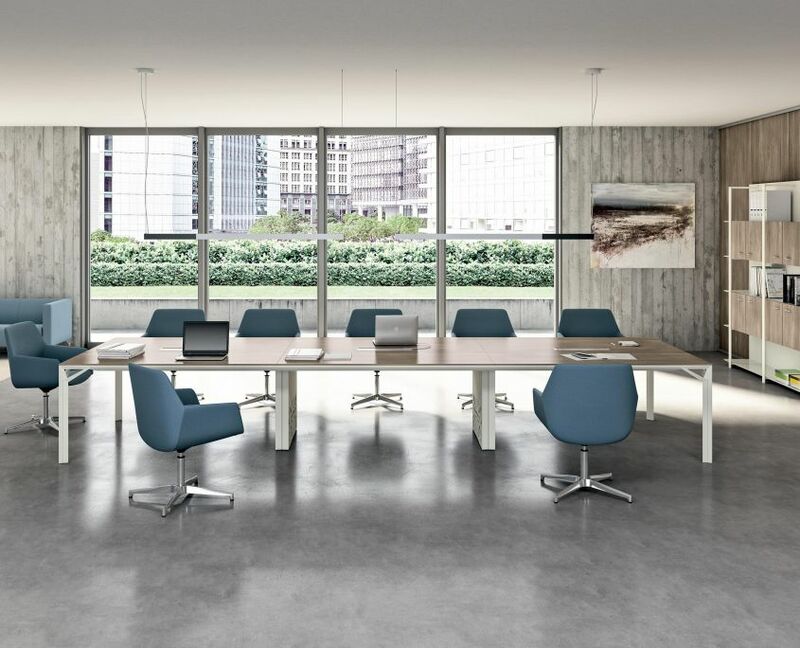 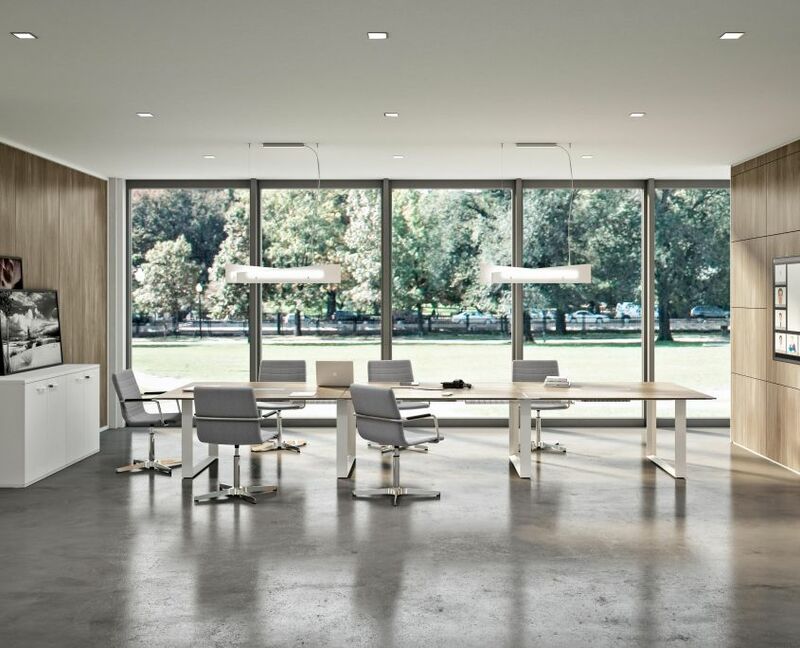 White meeting tables are also available for a very modern look or now there are matt lacquered options for any RAL colour available to bring out your company colours, this with grey or white frame can create a very impressive meeting room. 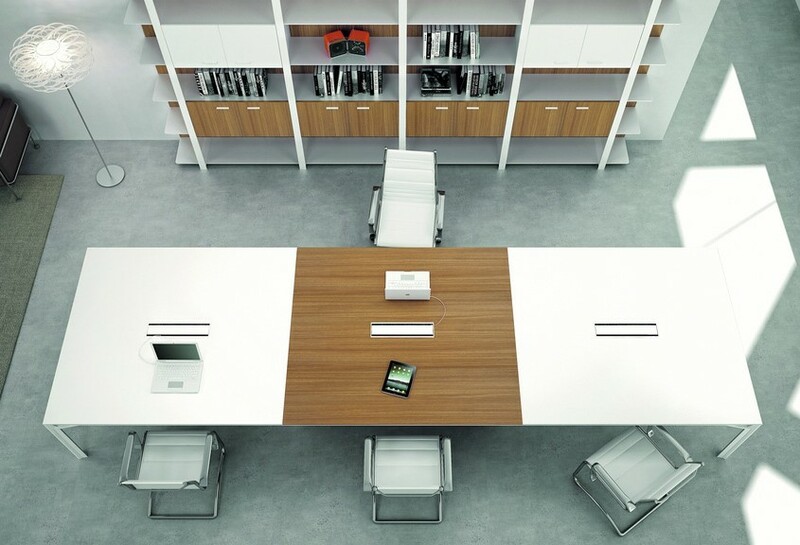 Glass tables are available in white and flip top cable trays can be inserted for power management. 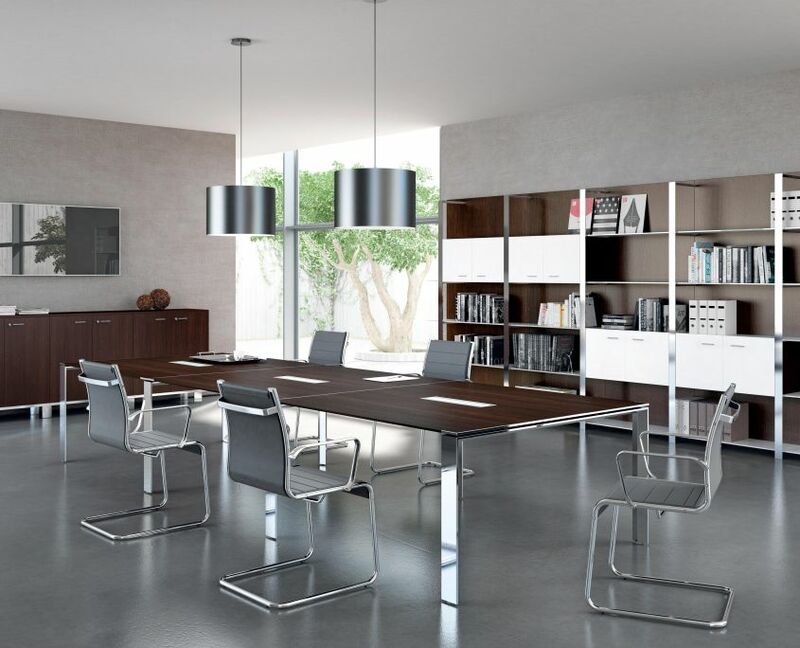 Our concept of rationalism brings you to a stylistic harmony made of signs and tracings. 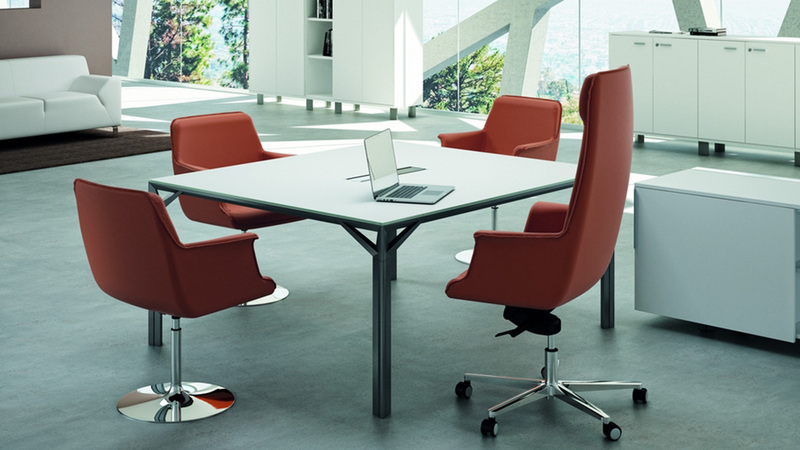 Innovative matchings let you have perfect furniture pieces which can be flexible with any environment and glass tops amplify working space. 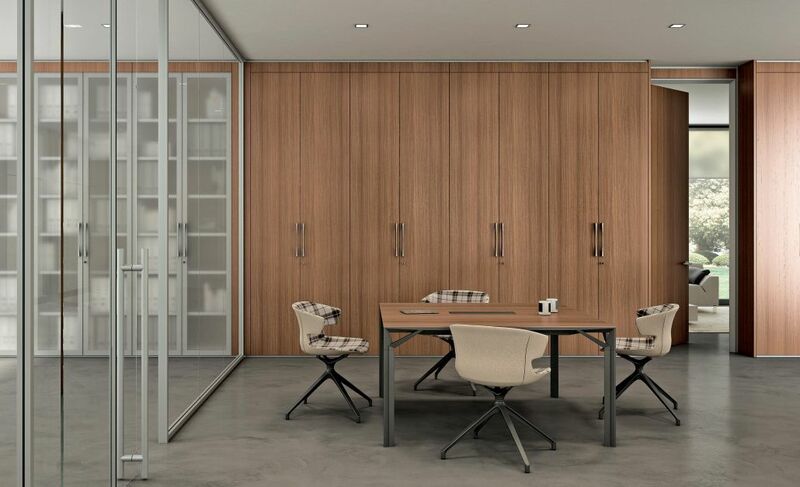 Melamine meets metal in an evolved composition. 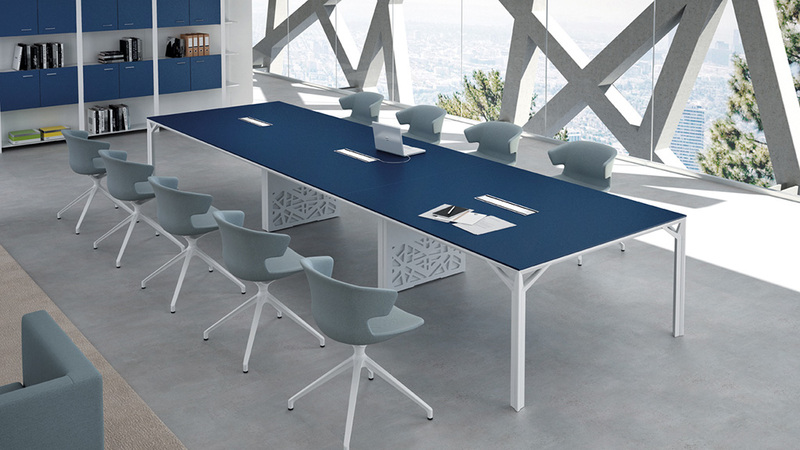 The naturalness of the surface and the technology of the structure enhance each other, creating a layout of great pleasure. 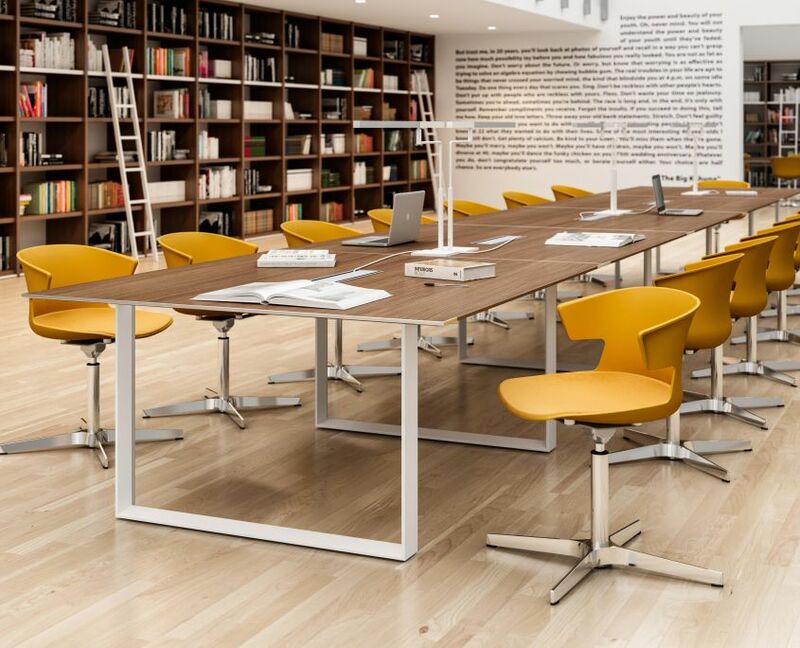 Finishes and technical solutions in foreground, in order to give the right impact to the whole project of the range with cable management has been developed in detail to create elegant and functional solutions.